We delved into the British Newspaper Archive to tease out some long-lost images from the early days of the London Underground. 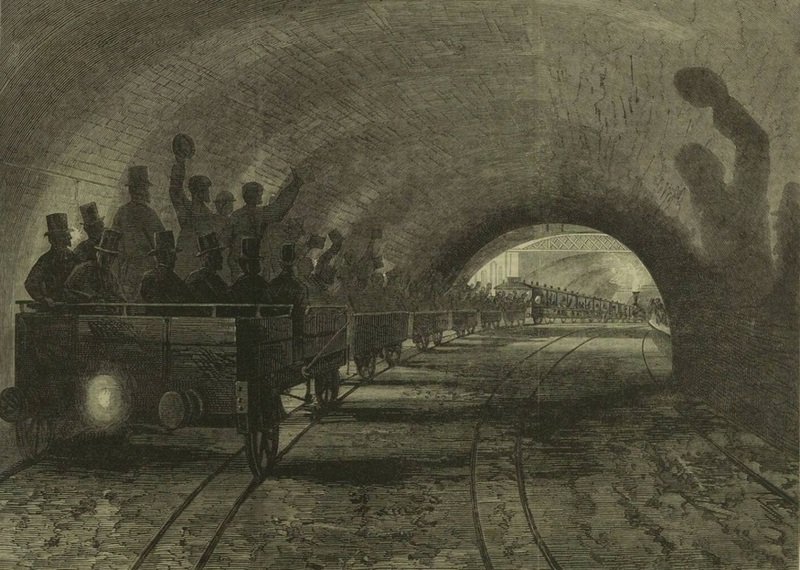 The first trial run of an underground train took place in September 1862, a few months before the line opened to passengers. Here, the lucky guinea pigs pass through what is now Great Portland Street station on the Met line, in an open-top train. Illustrated London News, 13 September 1862. (c) Illustrated London News Group. This is Farrindgon Station, or Farringdon Street Station as it was then. It looks a bit different because hundreds of dignitaries are enjoying a banquet over the tracks. 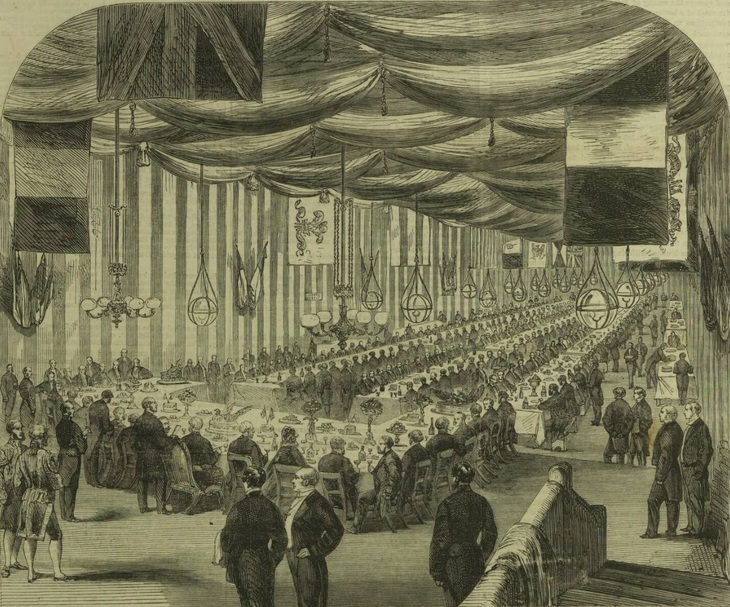 The feast marked the opening of the first underground railway. Illustrated London News, 17 January 1863. (c) Illustrated London News Group. 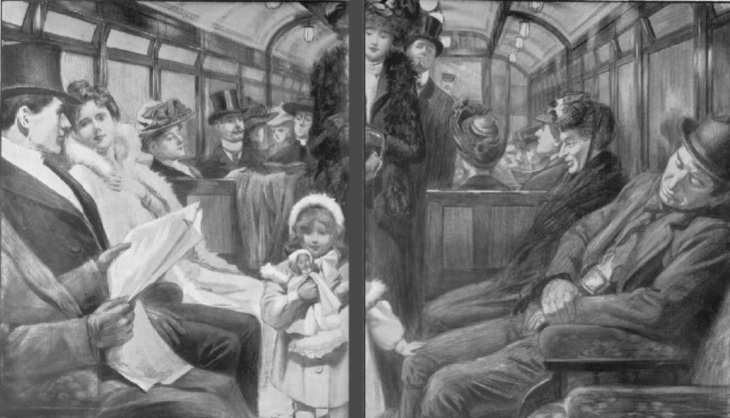 Waiting on a crowded platform is nothing new, as this drawing of August Bank Holiday from 1881 shows. Fortunately, smoking was banned decades ago. Penny Illustrated Paper, 6 August 1881. (c) The British Library Board, all rights reserved. By 1896, some carriages had 'next station indicators'. 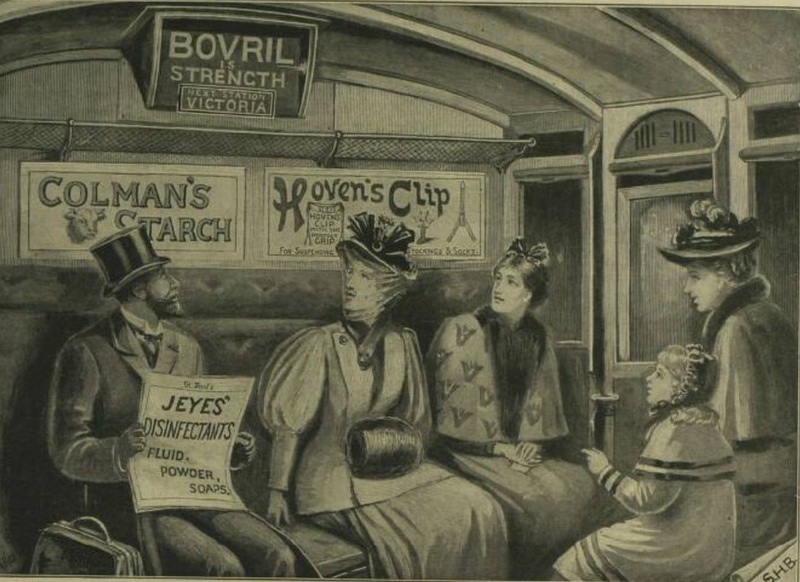 These were often sponsored, with Bovril doing the honours in this illustration. 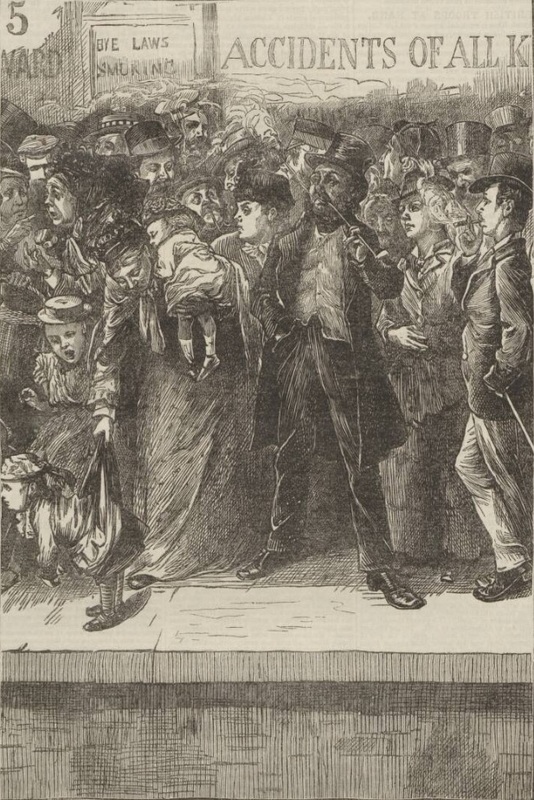 Illustrated London News, 25 April 1896. (c) Illustrated London News Group. Before electrification, underground lines relied on steam engines. 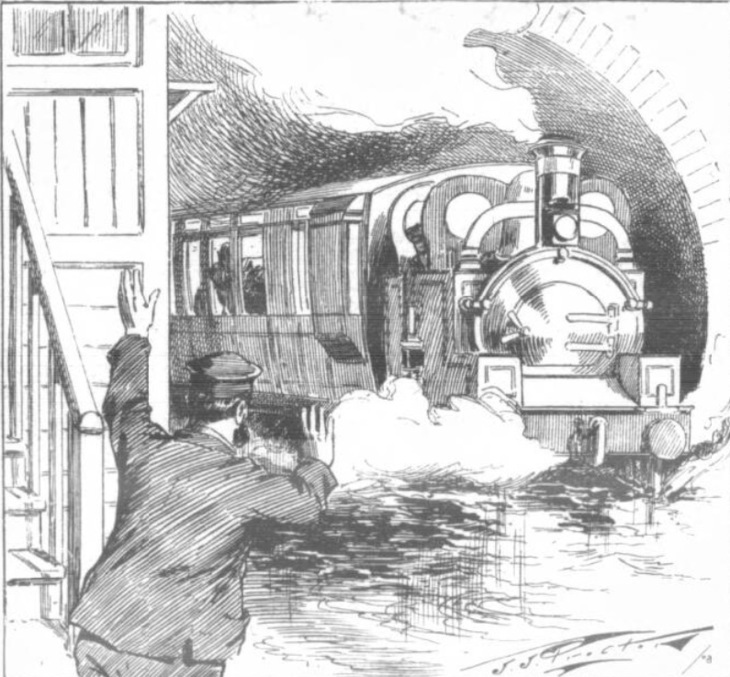 One lost advantage is that steam trains could still operate during flood conditions, as shown in this illustration. The Penny Illustrated, 20 June 1903. (c) The British Library Board, all rights reserved. Edwardian Londoners take the new 'twopenny tube', where 'all sorts and conditions of men and women' travel in to do some shopping. The Sphere, 4 January 1902. (c) The British Library Board, all rights reserved.